Free, fully featured and extensible. A tool that works for you. The way we work is changing. RPA is becoming the heart of every company's digital operation. The sooner we enable everyone to experience it, the faster we all get to master it to our benefit. With UiPath Community, we encourage individual developers, education and training entities, as well as small business teams, to benefit from UiPath's capabilities. Any kind of web or desktop applications can be part of your own ecosystem of automated tasks. There are virtually no limits to what you can accomplish with our tool. It is open and extensible and it deserves recognition for being the most intuitive and the most accurate by all industry standards. 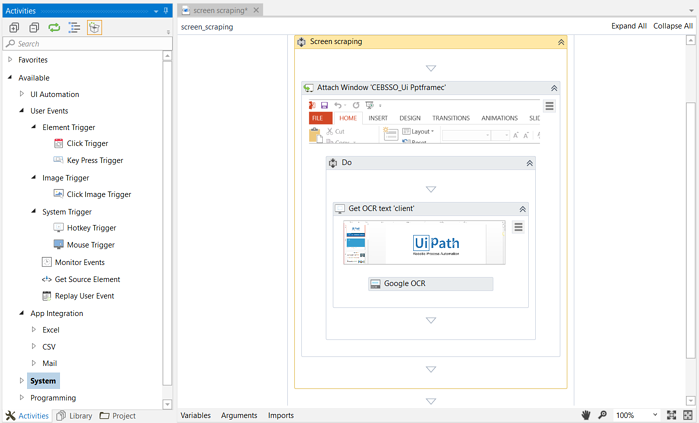 Working with UiPath feels natural. The process modeling tool is highly visual and packed with an extensive gallery of wizards, templates and pre-built actions that you can play and work with. We make it simple, UiPath has a built-in recorder that will help get you started and ease your way into the automation. For our robots, it’s monkey see, monkey do, really! 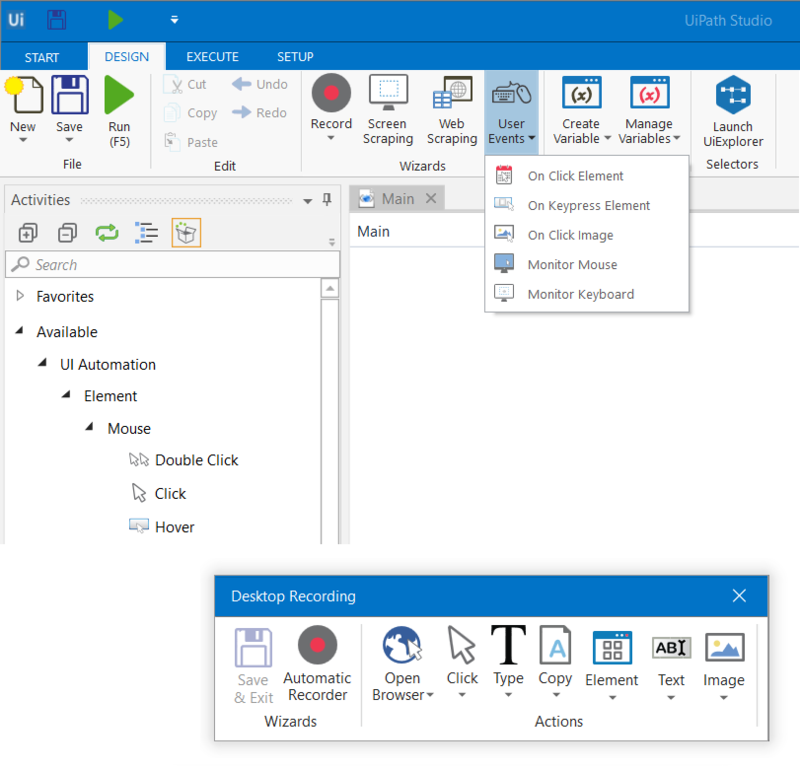 Just click, select and type anything on the screen and UiPath will capture every mouse and keyboard action and translate them into logical steps inside a visual workflow. 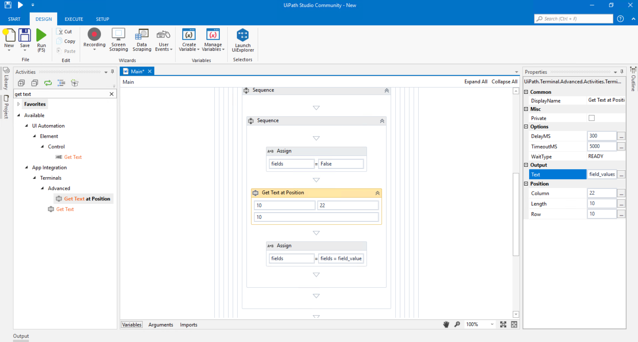 UiPath perfectly mimics the way a person interacts with applications, with 100% accuracy, and recognizes interface elements irrespective of position, resolution or font size. Automation replay, flawlessly. The best part: it will perform anywhere (Legacy, Java, .NET, web, and Citrix). Effortlessly automate any repetitive, data intensive task. Build your automation in a highly visual environment supported by a strong framework of tools, wizards, templates and pre-built actions. The first screen scraping solution that works with any application (including Java, .Net, Flash, PDF, Browsers, Legacy, Citrix, SAP, and Siebel) in under 16 milliseconds, with absolute accuracy. Running apps won’t stand a chance. There are plenty of macro recorders out there, but this the only free macro recorder that has it all. It offers the expert capability for non-experts. Automation is accurate and independent of screen size and resolution. You can also modify and parameterize the recorded sequence. 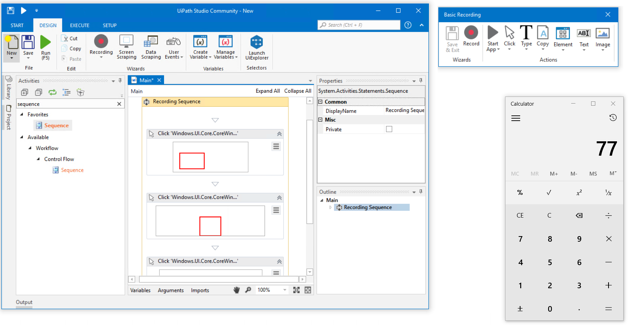 UiPath extracts a variety of data that other automation tools cannot even see. And it goes beyond the basics. 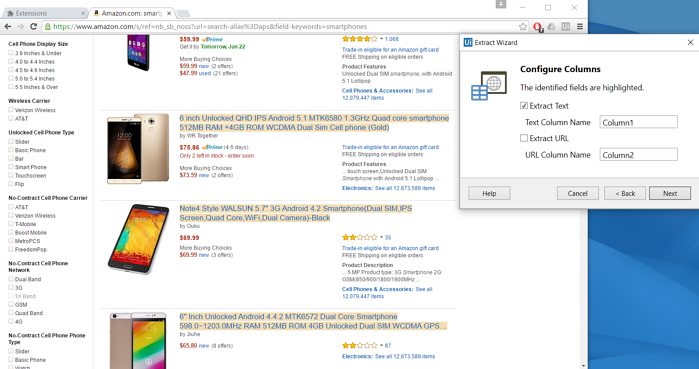 It automatically logs into websites and scrapes data spanning multiple pages. Filter and transform the data into your format of choice, then export to various outputs, whether an Excel/CSV or a database. And we don’t say this enough: no programming required. 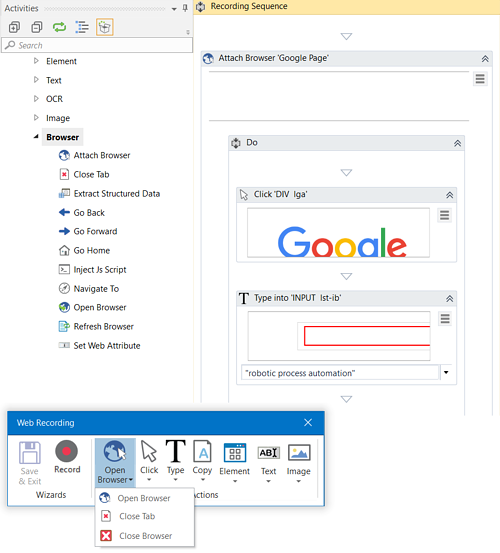 UiPath is special because it accurately identifies web elements by their attributes, regardless of the browser version, screen position, and size. The built-in recorder can read and enact web-based activities in a blink. It is also perfect for web testing, and anyone can have a go at it since it’s scriptless. At UiPath we believe in constant evolution. By providing tools and fuel to spark newer, better ways to do things. Discover the UiPath Community Forum where you can share your knowledge and learn from others’. We host an ever growing number of developers and automation aficionados, who bring their ideas and practices together. Since UiPath Community is completely free, we cannot offer phone or e-mail/ticketing support for it. But be sure to browse through all our Resources which will accompany you in this journey.